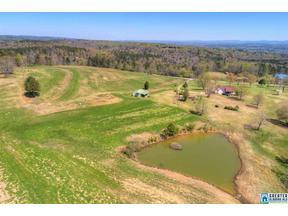 Hayden Alabama 34.5 acres level land GORGEOUS Peaceful home Breathtaking PANORAMIC view of the Appalachian Mountains. Spectacular "Seven Oaks" home offers so many FABULOUS FEATURES: Spacious Dining Room Knotty pine hardwood floors 1300 sq ft main floor & 900 sq ft in the FINISHED BASEMENT 2 Car Garage Deer, turkey & birds will grace the property 2 separate entrances to the land and one leads to the two massive trees on the top of the property which has additional septic tank, water and electric Workshop 2 Wells & Public Water Bring the cows , horses or livestock the pasture is cleared and the acreage is ready to farm ROOF 2 years NEW Pond stocked with fish. Enjoy making lifelong memories entertaining, stargazing living and relaxing at your home sweet home. Sellers say you can sit on the back porch and watch the deer. Once you arrive you will know this is the ONE!!! 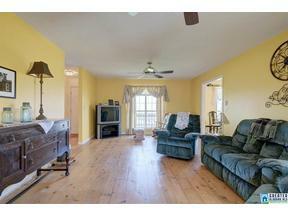 Schedule 939 Cox Cove Road in Hayden Alabama to see how this lifestyle feels to you.